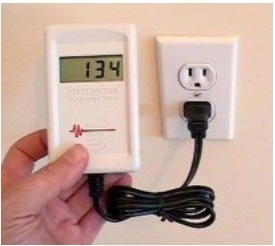 The Stetzer Meter is designed to measure the dirty electricity or high-frequency noise which may exist in your electrical wiring. Simply plug the meter into an electric outlet. The reading indicates how much dirty electricity is in the wiring at the outlet where the meter is located. The higher the readout, the more dirty electricity.